Being a book lover I love talking about what I’m reading. Usually people are surprised by the number of books that I have in progress at any one time. Typically I can have as many as half-a-dozen books going at one time. The usual response is; how do you keep track of so many books? I usually respond with, how many different TV shows do you watch? This usually helps put things into perspective for people. 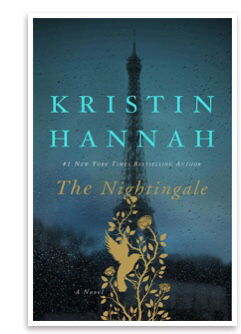 The Nightengale by Kristen Hannah is a WWII period piece about a woman fighting with the French Resistance. It’s a little softer than most war novels but I’ve enjoyed reading a book about war from a woman’s perspective. David Copperfield by Chrarles Dickens is Victorian Literarure at its best. Right now Dickens is my favorite author and I plan to read another of his novels next month too. The Toaster Oven Mocks Me by Steven Margolis is a memoir I just started yesterday and if you’re a fan of sarcastic humor, check this one out. Young Blood by Matt Gallagher is a novel about the War in Iraq written by an Army veteran. Gallagher writes with a gritty, tell it like it is style that soldiers use. He switches up occasionally and shows that he’s a tremendous young writer. Clarence Olgibee by Alan Kessler is waiting to have its spine cracked as I haven’t opened it yet. This novel is a racially charged murder-mystery that I’m eagerly awaiting. So there’s my current list. I also have a bookshelf with a few books that I’ll be digging into next and several on my Kindle awaiting me as well. Feel free to drop a line or comment if you’d like to discuss any I’m reading. You can also check me out at Goodreads for my complete reading list.